Last month I blogged about the Taste of Nature “Take the Pledge to Snack Healthy” and how I promised to eat at least one healthy snack a day. One simple and delicious snack choice is a Taste of Nature bar. If you haven’t tried them yet, you need to! They are packed full of real food ingredients and are an excellent source of energy, fibre, protein, essential fatty acids, vitamins and minerals. Plus they are a satisfying snack and one that you’ll savour every last bite! There’s still time to to Take the Pledge to Snack Healthy and commit to improving your snacking habits in 2014. It’s not that hard either. 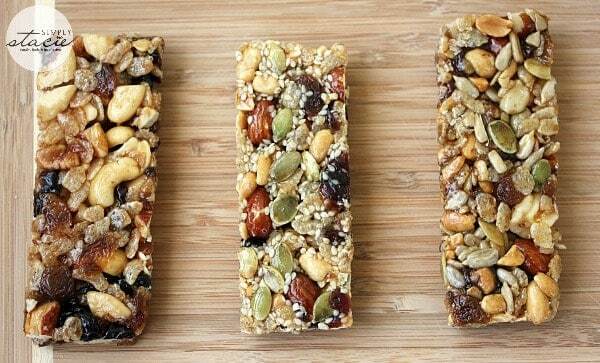 Just eat at least one healthy snack a day (like Taste of Nature bars). As an added bonus, you’ll be entered into a daily draw for a yoga mat and Taste of Nature bars when you take the pledge. You have until February 28th to take the pledge. I encourage you to get your name in there now so you’ll have a better shot at winning a daily prize. Visit Taste of Nature on Facebook now to sign the online pledge and join me in this quest to maintain healthy snacking habits! I’m also hosting a giveaway for a Taste of Nature prize pack valued at $200 with only a few more days left to enter! Connect with Taste of Nature on Facebook, Twitter, Instagram and Pinterest. I took the pledge to snack healthy! I picked some of these up at Costco yesterday I love them!! I took the pledge and hopefully I can find these bars in the store soon to try, they look really good! I am making sure to include a healthy snack every day because I have a sweet tooth, and this is not very good to eat sweets all the time. I am taking the pledge to eat a healthy snack every day! I always try to eat healthy. I also love to snack I believe that I have a healthy balance. I took the pldge and hope I can get this here in NM. I make some of my own snacks to keep stuff I don’t wan’t like white sugar out. These bars are really tasty! I’ve only tried two kinds but I really like them! I’ve taken the pledge! I hope to stay true to it :). I took the pledge to eat better! I took the pledge. I am trying to make healthier choices this year, so healthy snacks are a must. I took the pledge to snack healthy!